The presence of fraud in the investing of drinks was brought to my attention by the site InvestDrinks. It is the romance of wine, fine whisky and brandy plus the fact that there is no regulation that makes drinks investment so attractive to fraudsters who appear to target the American medical community. 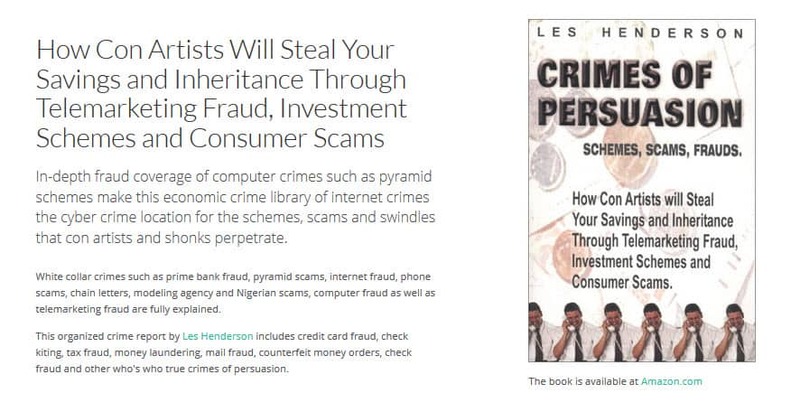 Articles on Wine Scam investments.